Bibby Offshore announced its continued international expansion with the opening of an office in Stavanger, Norway. The Norwegian office for Bibby Offshore will be headed by Arne Lier. Bibby Offshore has a leading subsea services position in the U.K. North Sea and the opening of the office in Norway further increases the company’s growing international presence. The company is currently participating in a number of tenders in the Norwegian Continental Shelf and is focusing on expanding its existing services to offshore operators in the region, benefiting from the depth of relationship that Bibby Offshore already has with the UKCS divisions of many operators. Arne Lier, who joins the Company on September 1, 2014, is leading the recruitment of further key positions for the Norway office to increase the total headcount to approximately 30 during 2015. Arne Lier has extensive oil and gas experience from an international career focused on offshore inspection, repair and maintenance (“IRM”), construction and marine operations, including the role of Senior Subsea Engineer for Statoil early in his career. More recently, Arne has held several executive roles including Chief Executive Officer of Norfield AS and Managing Director of Gulfmark Norge AS. He is currently a non-executive director of Simon Møkster Shipping and has previously been a non-executive director for AGR Group. 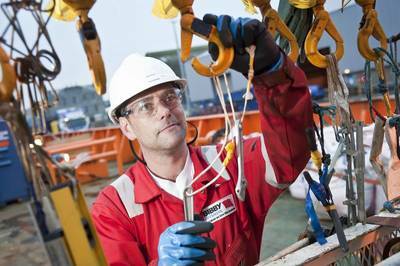 Arne is a civil engineer, QHSE qualified and a former saturation diver. He has an MBA from Robert Gordon University in Aberdeen, Scotland.